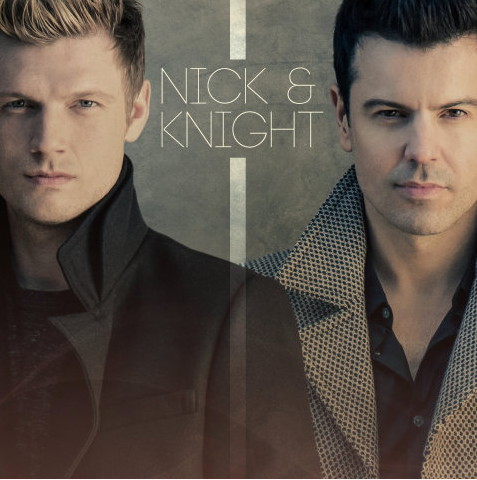 Former boy-banders Nick Carter and Jordan Knight form a new group called Nick & Knight. Backstreet Boys star Nick Carter and New Kids On The Block's Jordan Knight have teamed up to form a new group, named Nick & Knight. The two grown-up boy band singers, who toured together with their respective groups in 2011 and 2012, are set to head out on the road together again for a 39-city trek beginning in September (14) - and they are also planning to release an album. Nick tells U.S. breakfast show Good Morning America, "We've been trying to fit it in between the touring schedules these past few years... We've pretty much done the album. It's a bunch of pop, rock, R&B and urban (songs). It's all mixed together to create Nick & Knight."